Every business owner wants to attract clients. After all, that’s the lifeblood of any business. Without clients, no business can exist. There are many ways to attract new clients, especially with the widespread technology and tools available nowadays which makes connecting and networking a whole lot easier. Some ways of attracting clients are by partnering with other businesses, using paid marketing, getting referrals, building your site for both your audience and for the search engines to ensure you’re getting found by your clients online, creating campaigns through social media and Google, and much more. 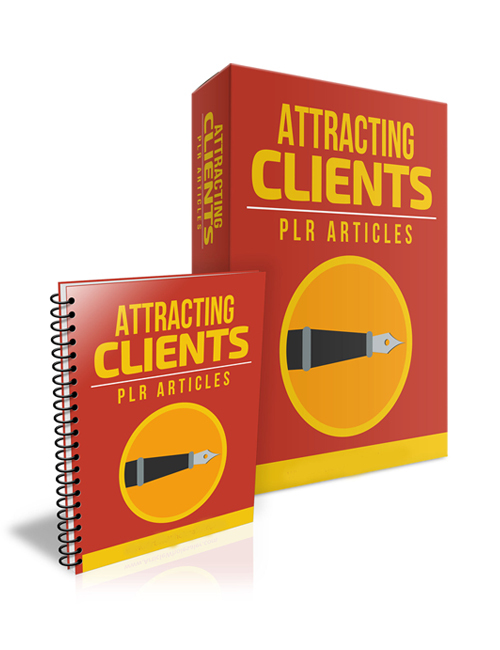 These plr articles cover all the essence of how to attract clients which you’ll find extremely interesting as will your audience if you’re running a site. Professionalism is key when you have a large lot of competitors. It’s about providing outstanding service so that your clients will come back and even refer others. And with the power of the web, there is ample opportunity to create your own space online with a great website that can attract local clients and using sources like LinkedIn to network with others in your field. Blogging is also a powerful method in building your brand and expanding your reach. When you’re ready to make your mark, hit the download button.